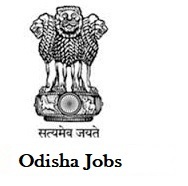 District Mineral Foundation Keonjhar Recruitment Notification 2018.DMF Keonjhar inviting applications for the positions of MO & Specialist.Interested and Eligible candidates can apply for the positions. Specialist Posts in different disciplines are given below. MBBS holders can apply for medical officer posts. MD in relevant discipline can apply for specialist post. Selected candidates as MO will get monthly pay of Rs.60,000/- per month. Selected candidates as specialist will get monthly pay in between Rs.1,20,000-2,00,000/- per month. Through interview contenders will be hired up. Mode of applying for DMF recruitment is through offline mode. Download the application forms from https://kendujhar.nic.in and send to Collectorate, Keonjhar. On 16th September along with all documents in between 10:30 AM to 01:30 PM can attend the interview session.